I am just loving chand balis a lot these days. 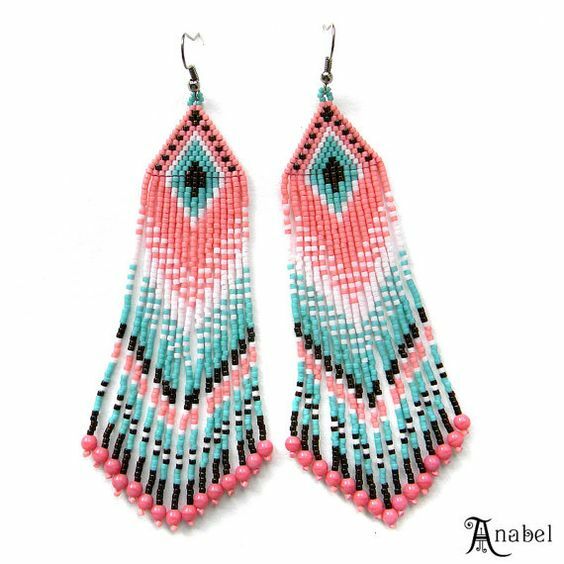 There are a variety of intricate designs available making these earrings more fun. I own some light weight chand balis and cant wait to invest in kundan and pearl ones. I love this trend a lot and may actually get a pair of them in real gold soon. A pair of these in gold and silver each is a must have. 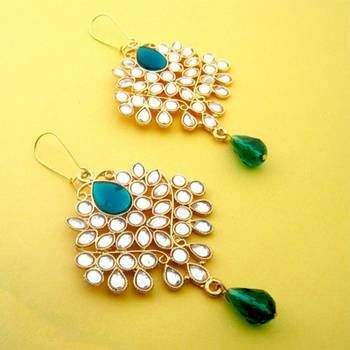 The most popular ethnic earrings, jhumkas can instantly glam up your ethnic look . 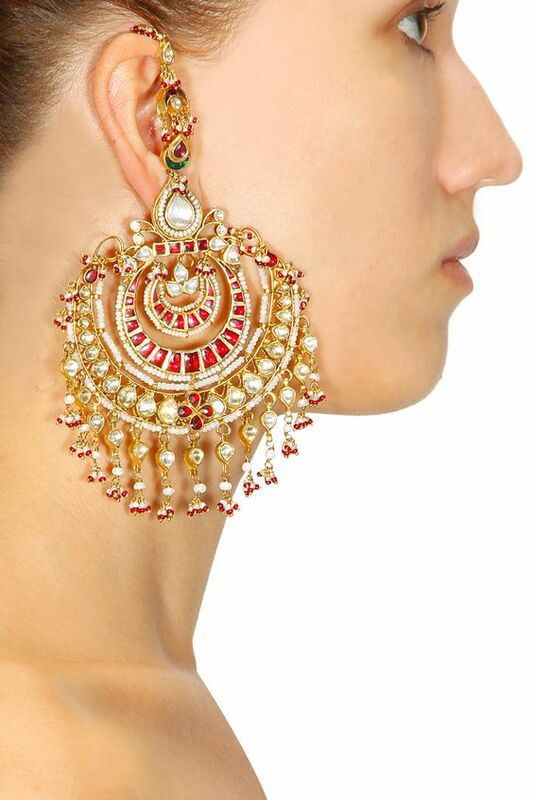 Add a pair of huge jhumkas with a sari, lehenga or anarkali and you need no other accessory. Very versatile and a super must have, choose from kundan, meenakari or silver jhumkas, double jhumkas to make a statement. These have taken over bollywood, i spotted them on Deepika padukone in Ramleela and Alia bhat in Humpty sharma ki dulhania. Bali jhumkas are basically a jhumka attached to a bali (hoop) looking pretty with a retro touch. The hot new trend is sure to grab eye balls, but a tad bit tricky to wear and carry off. Most ear cuffs are better paired with western wear for a quirky look but some ear cuffs like these studded pair go beautifully with ethnic wear. 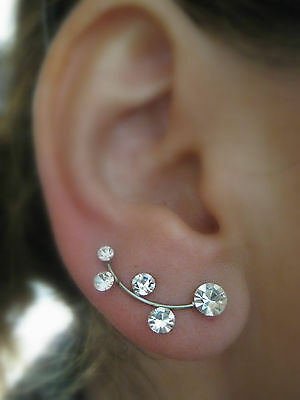 When opting for ear cuffs, wear your hair in a bun to make it stand out . 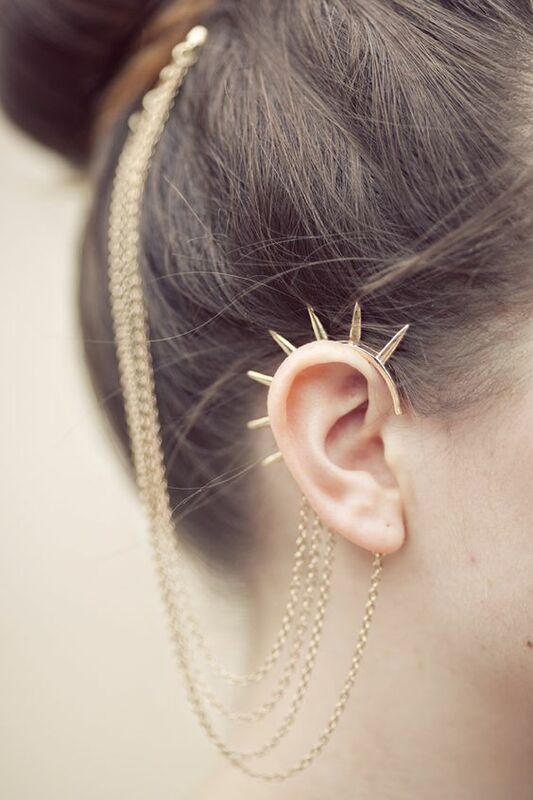 Spiked cuff are a rage and can be paired with new age fusion ethnic wear. Go for gold ones with your crop top lehengas or fusion sarees. 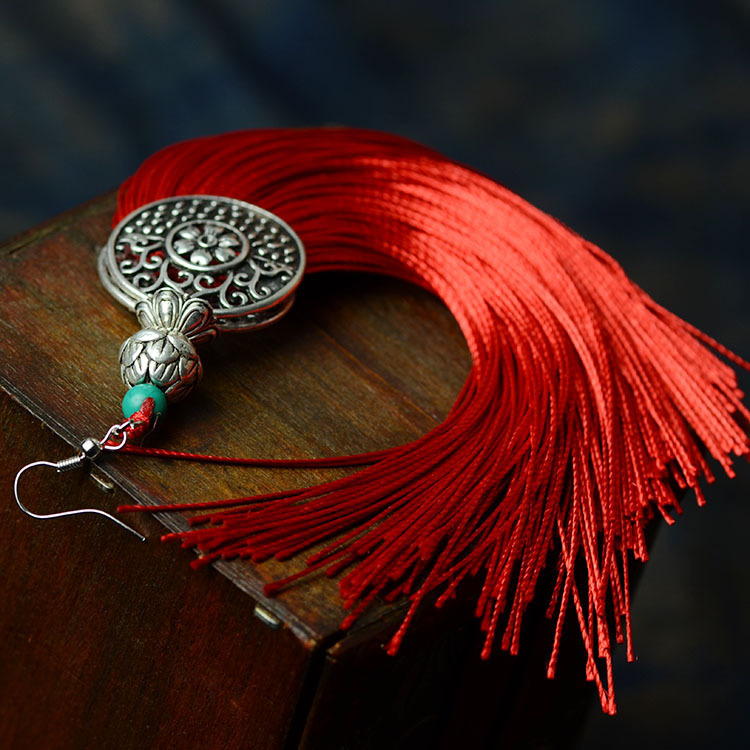 The classy and trendy ear jackets are tailor made to be paired with ethnic wear. These are very versatile and can be worn two ways, like a jacket and like a simple stud too. Ear cuff with a chain look super trendy and give your look a majestic feel. Opt for these if your outfit is simple with little or no bling. Wearing a fetaher as a earring, can things get anymore fun? I own a pair of simple peacock feather earrings and i pair them with my simple cotton anarkalis. This will work well for small ceremonies like haldi or mehendi of your sister or brother. 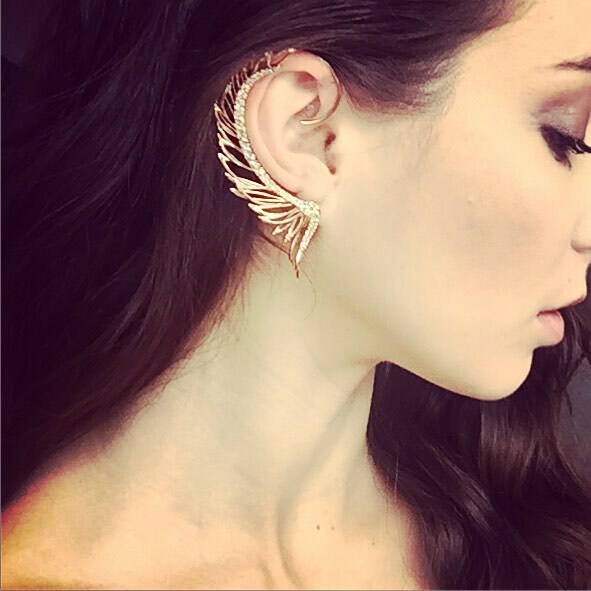 If feather earrings are your thing then you should try their cuff version too. Dont go matchy matchy with these, try contrasting with your ethnic outfit or even going for a single earring. Do these new age stud float your boat? time to pair them with ethnic wear too. 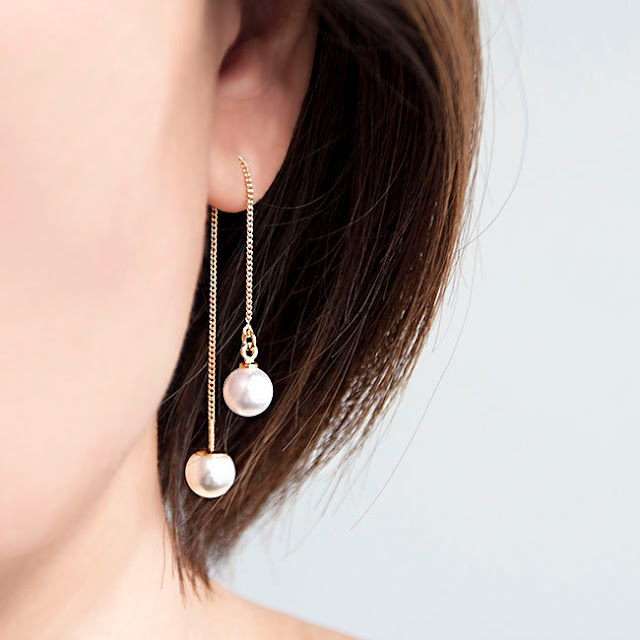 though trendy these studs can look simple in the sea of wedding bling so go for heavy pearl necklace layering to balance out things. A modern twist to your grandmothers pearls, a hoop or a chain with pearl attached to both ends are the latest trend, trust me these will look super pretty with traditional wear. Hoops or the balis are a very simple and age old way of accessorizing a wedding look. 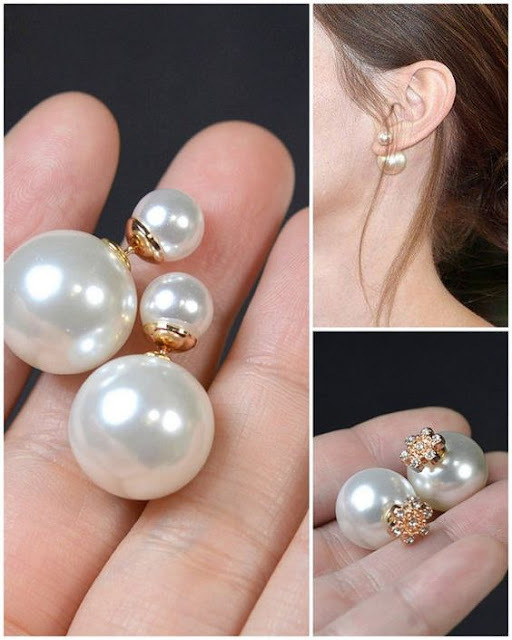 Go in for pearl encrusted hoops or oxidized ones to keep things hatke. Emma watson sparked off the single earring trend and we all love to imitate her style. The single earring has a very modern westernized feel to it but if you find a right pair of earring you can try it even with ethnic wear. look for embellished cuffs in gold or rose gold tones. 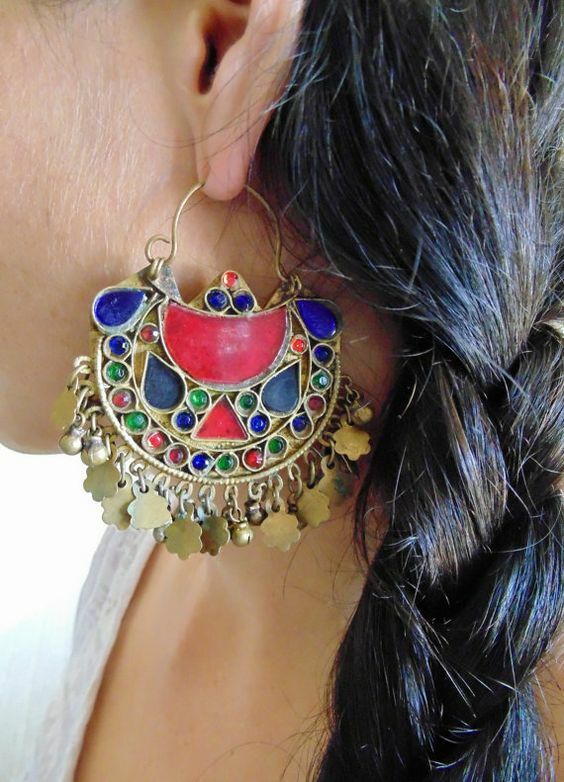 Even dangler cuffs and chain cuffs can be worn on single ear with ethnic wear. Dont try the single earring trend with your traditional silk sarees or embellished lehengas. This trend will work beautfully with dhoti sarees, fringe sarees, cape lehengas , asymmetrical anarakalis, saree gowns and crop top lehengas. Fringe the trend from last year is here to stay. Try the fringe or tassle earrings at a mehendi function for a quirky vibe. The juda pin is a traditional hair accessory where the hairpin ends are attached to a earrings on each side. These earrings are sure to attract instant attention, wear them with a traditional silk saree for added impact. 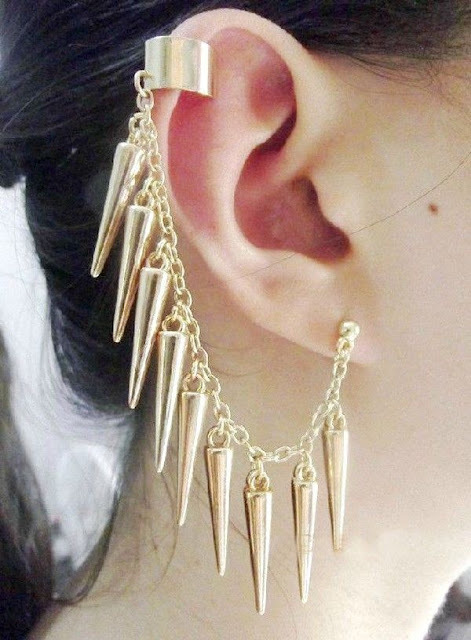 I brought a pair of these attention grabbing earrings 2 years back and they are totally worth investing. Kashmiri style jhumka earring comes with a chain which is to be put around the ear . 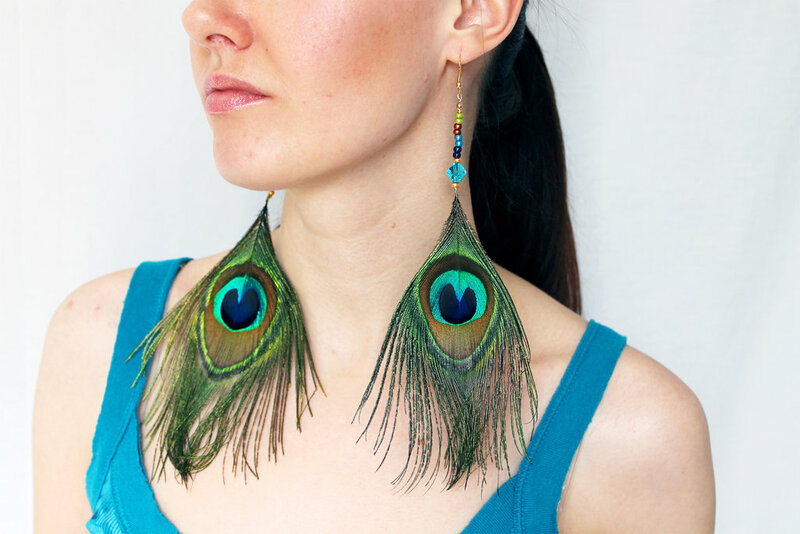 Since these are so dramatic it is better to skip the necklace and tikka when wearing them. #18 Huge studs: Personally I did not like the idea of wearing studs to a wedding. 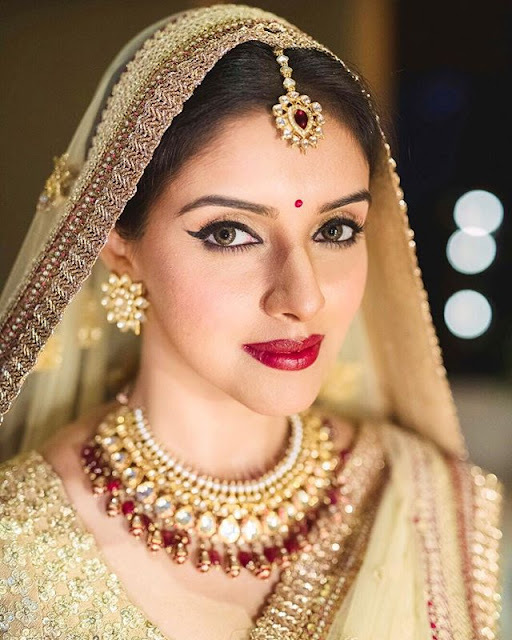 I thought it was too mature or reserved for older women giving that mature look but everything changed after I saw Asin wear studs on her wedding day, she rocked it and i cant wait to try something similar soon. 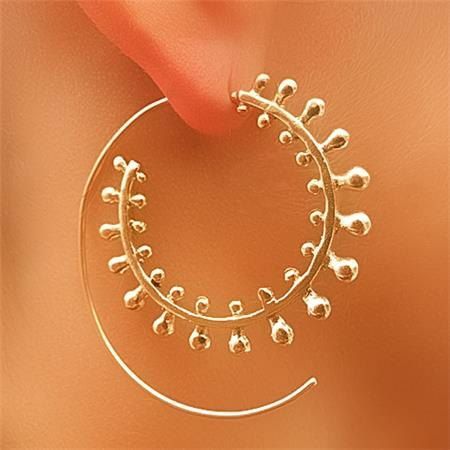 The all new concept called spiral earrings caught my eye recently. 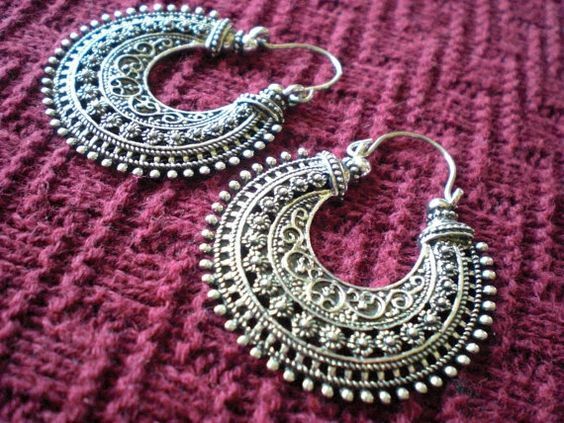 These can be worn with both indian and ethnic wear and is a good change if you want something different and simple. Indian weddings is all about gold jewelry but these days brides are opting for silver too to get a boho look especially in smaller ceremonies like cocktail and haldi. 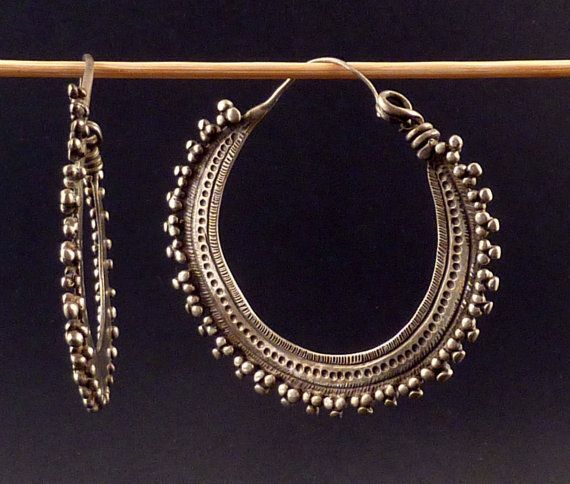 If you are wearing a light ethnic ensemble with silver tones then match it with oxidized silver earrings. This works best with pastels or zircon studded ethnic outfits. This may not be preferred by many when flaunting ethnic outfits but when it comes to ceremonies like mehendi or haldi where you have want a lot of colour minus the bling these work well. Pair these with kolhapuris or juttis and add a potli. When a ear cuff and jhumkas come together you get a kan phool. Can things get anymore prettier? the kanphools are sure shot head turners so go easy with your ensemble and other accessories and these extravagant earrings steal the show. Ethnic wear and kundan jewellery is an ideal combination. 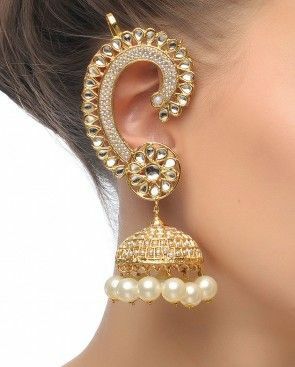 One pair of these in gold with white kundan is a wardrobe staple because they can be flaunted with all kinds of ethnic outfits at all wedding ceremonies. Have you discovered more ways to style the ears for a wedding? share them with us!